Federal authorities plan to call James “Whitey” Bulger’s girlfriend before a federal grand jury in a bid to force her to help them locate money and other valuables the gangster may have stashed around the world, according to two people familiar with the case. Catherine Greig, 63, who is serving an eight-year prison term for helping Bulger evade capture for more than 16 years, was transferred earlier this month from the federal penitentiary in Waseca, Minn., to the state-run Donald W. Wyatt Detention Facility in Central Falls, R.I., according to a person who is close to the Bulger and Greig families. A US Bureau of Prisons website also notes that Greig is no longer in its custody. Greig has been told that she will be placed before a federal grand jury in Boston that is attempting to track Bulger’s hidden assets, which would be distributed among the families of the gangster’s victims, according to the person close to the family, who asked not to be identified. Greig has insisted that she does not know of any secret stashes by Bulger, now 85. It is unclear when Greig would appear before the grand jury. A Waseca penitentiary official said Sunday that authorities could not provide any further details about Greig, who is slated to finish her sentence in June 2018. However, after Bulger was sentenced to two consecutive life sentences last November for participating in 11 slayings, prosecutors said they planned to aggressively pursue his assets and could convene a grand jury in an effort to compel people to testify. 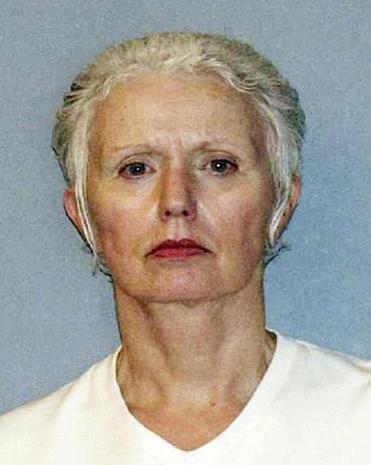 Patricia Donahue, whose husband, Michael, was gunned down by Bulger in 1982 while giving a ride home to the gangster’s intended target, said she doubted that Greig, who has been steadfastly loyal to the gangster, would cooperate with authorities against him. Still, Donahue said she was happy that investigators were trying to track the gangster’s money. Greig, a former dental hygienist who, like Bulger, was raised in South Boston, began dating the gangster in the mid-1970s and joined him on the run in early 1995. Bulger, one of the FBI’s 10 Most Wanted, and Greig quietly lived in a rent-controlled apartment in Santa Monica, Calif., just two blocks from the beach, until they were captured in June 2011. Agents found $822,000 cash and 30 guns hidden in the walls of the apartment. Former assistant US attorney Brian T. Kelly, who was part of the Bulger prosecution team, would not comment on any grand jury proceeding, but said it was logical for investigators to press Greig for information. Bulger was convicted last year of participating in 11 murders, drug trafficking, and other crimes while operating a sprawling criminal organization in Boston from the 1970s through the 1990s. He is currently incarcerated at the Coleman II federal penitentiary in Sumterville, Fla. In addition to the two life sentences, he was ordered by a judge to pay $19.5 million in restitution to his victims and to forfeit another $25.2 million to the government. The forfeiture judgment allows prosecutors to seize all of Bulger’s assets, including a $50,000 diamond claddagh ring and the $822,000 seized from his California apartment, and future profits the gangster might make from selling his life story. Prosecutors have pledged to split the profits among the families of Bulger’s victims. Bulger’s attorney Hank Brennan said he was aware that Greig had been transferred to the Rhode Island prison, but did not know anything about the new federal grand jury investigation. He criticized the government for failing to give Bulger’s victims a share of any of the assets it seized from Bulger and his associates while the gangster was on the run, or even disclosing how much had been located. While Bulger was on the run, the government netted $2 million from Bulger’s share of a 1991 lottery ticket, $99,335 from a BayBank safe deposit box, and $106,709 from the sale of Bulger’s condominium in Clearwater, Fla., according to court filings. The FBI seized $50,000 from a safe deposit box belonging to Bulger in London. Agents also seized the contents of safe deposit boxes believed to belong to Bulger in Florida, Ireland, and Canada. Since his capture, Bulger has written letters from prison professing his love for Greig and blasting the government for sentencing her to eight years in prison. Shawn Donahue, whose father was killed by Bulger, said he doubted Greig would say anything to the grand jury.